No riots...just a nice park. I stopped by the Byzantine and Christian museum, but was too late as they were about to close. I'll return tomorrow. 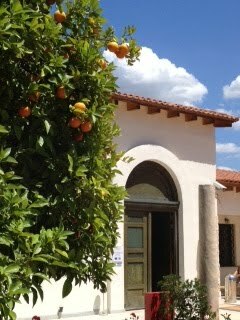 Athens is full of orange trees (portokalia), heavy with fruit. 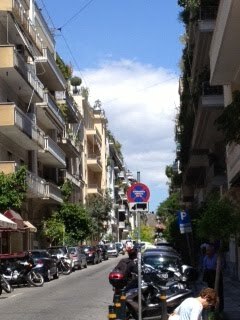 Kolonaki is a beautiful and green neighborhood with almost every apartment having some sort of garden. Near Kolonaki is the church of St. Dionysios the Areopagite, the philosopher who was converted by the Apostle Paul on Mars Hill, who became the first bishop of Athens. This is perhaps the most beautiful church I have visited in Athens...very traditional in design and iconography. 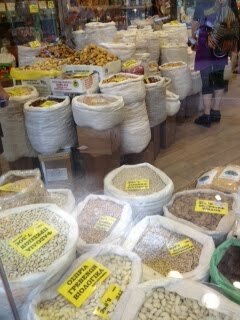 On my way back to my apartment, I stopped by a bulk food store to purchase some victuals. 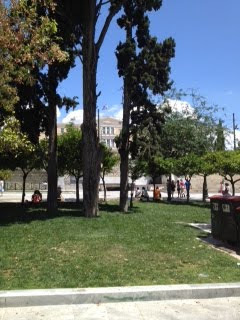 After a brief rest at my apartment, I returned to Syntagma to buy tickets for the Opera on Sunday in the Herod Atticus Amphitheatre at the Acropolis. Then, I walked down Amalias to Hadrian's Arch and the Temple of Olympian Zeus. Impressive. 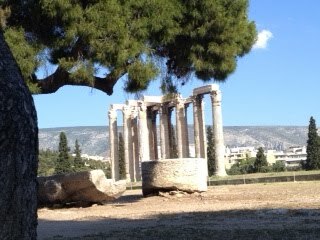 Pagan temples are big and old...but dead. 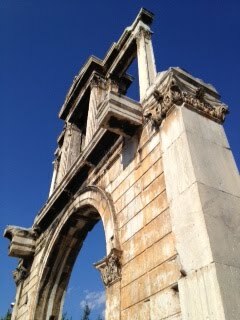 They can't hold a candle to the Christians temples which are alive and more beautiful and magnificent. 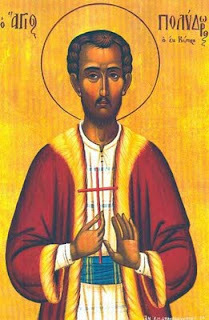 He was born a Christian on Cyprus, and began a merchant. In Egypt, he apostatized and became a Muslim. With great sorrow and repentance, he traveled to Lebanon, where he confessed his sin to the bishop and was received back into the Church. 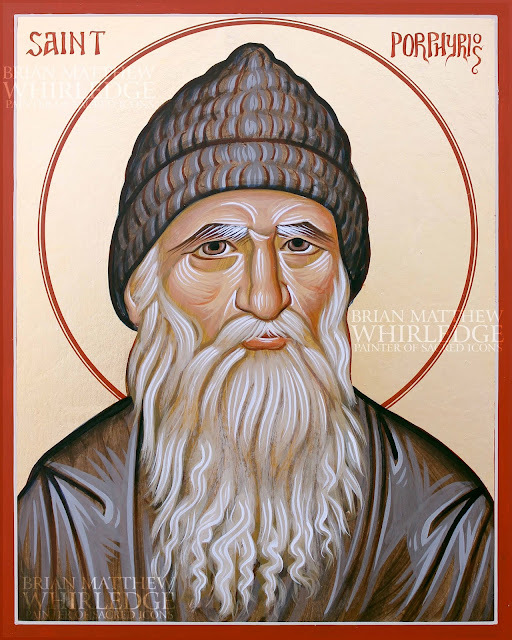 After spending some time in a monastery under guidance of a saintly elder, he did not feel as if his repentance was complete. "Ten years ago I was cheated and I was made to deny my faith. I threw away the gold which I had in order to take the dirt. Now I regret it. I am sorry for what I did and am distressed and I cry. Take your dirt and I will take back my gold. I was Christian! I will remain Christian! And I am ready to die Christian!" After trying to be persuaded with many luxuries, he was tortured beyond recognition for two days and was hung on September 3, 1794. 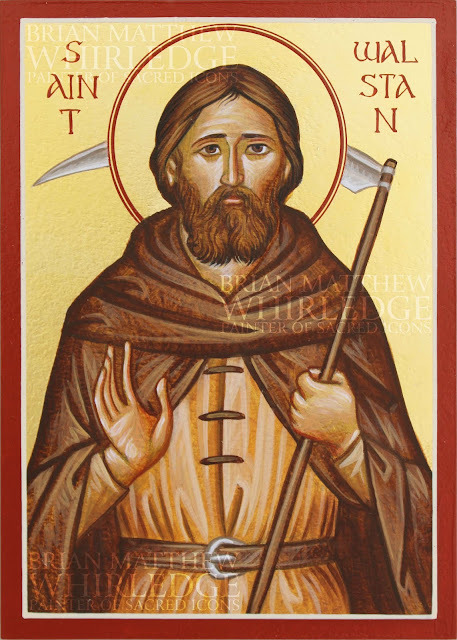 His skull was miraculously brought to St. Katherine's in Athens in the 1920s when the Turks forced all the Christians to leave. 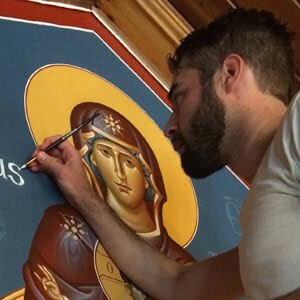 I saw an icon for sale at the Church. 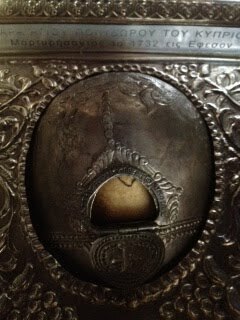 I placed it under his skull and will leave it there for a day or two, and will place it in our parish church (St. Mary's, Goshen) upon my return. 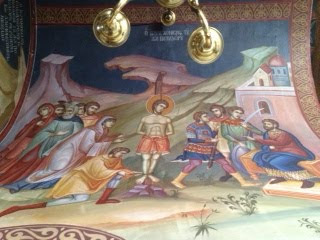 I attended vespers at St. Demetrios in Plaka. It is very easy to miss (as I described in another post), but it is a real gem. They serve daily vespers and liturgy and is well attended by mostly young people. There is no electricity, so the only light is from the candles. It is a small church, no bigger than my parish at home, but has a main altar set directly into a small apse the east wall and two side altars. 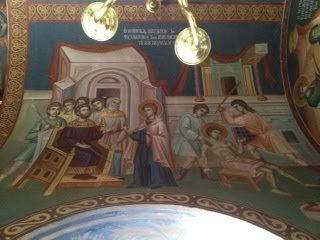 The northwest part of the church has thick arched walls and ceilings that are plastered but not frescoed. The west and south walls and ceilings are wooden. If I get to sleep soon, I may try to make it for liturgy in the morning. 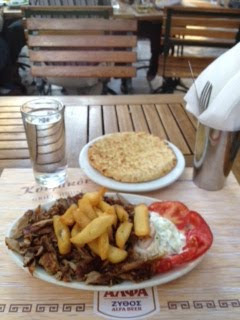 After vespers and compline, I walked to a taverna in Plaka, where I had gyros, this time made from pork. 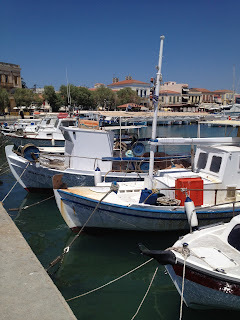 I had a conversation with a very talkative Australian named Constantine, who was on his way to the European football (American translation: soccer) championship in Poland, but was spending a few days with family in Athens on the way. He is rooting for Greece, of course. On the way home, I stopped for some gelato. 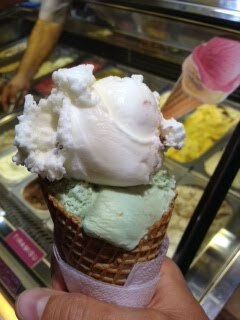 Pistachio and coconut.